Just as you've gone through our company's services, you're now a witness how our skilled team creates functional and elegant concrete projects in St. Louis, Mo. One of the services we also take pride in our company is concrete staining. 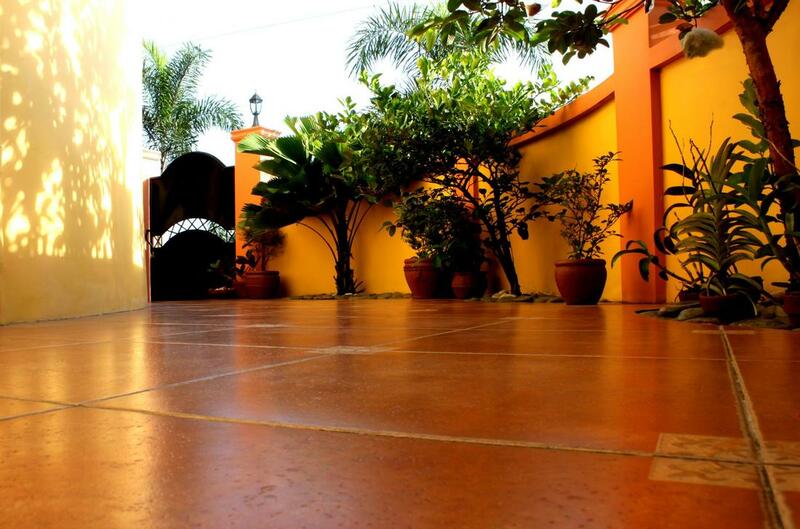 As you know, due to the advent of technology, concrete being dull will never be an issue to every homeowners nowadays. Staining will help you give a radiant look not just in your stairs and patios but also to your driveways and walkways. With years of experience, Concrete Contractors St. Louis' team can help you achieve different looks simply by using varied application techniques that we have mastered through training and continued dedication. With our help, your floors will be beautiful and will become a durable asset that will bring value to your home. We are an excellent choice for restoring your surfaces because you only deserve the best. In order for you to be fully aware, we work with two different types in staining your concrete - we have water-based acrylics and acid-based chemical stains. For acid-based, it has metallic salts that make it react with your concrete's lime content. It chemically reacts with your surface and creates a perennial bond with your concrete. And nothing to worry because our contractors make sure that it won't chip off of peel away through the years. While for the water-based acrylics, it has pigment pores that act like a paint in your concrete. So more likely, it doesn't depend on a chemical reaction to create an effect and impart color on your surface. It is also much easier to apply than the other one and has a broader palette of colors. But either of the two, we make sure that your choice won't affect the service that we can do for you to have a refreshing aura in your home! You might be asking yourself if you can do concrete staining yourself or hire someone who can help you all the way. You need to consider thinking that the success of the job depends on your skill level and the complexity of the project you want to achieve. Keep in mind that once you already stained your concrete, the color itself is permanent and there is never going back. If until now you're confused about what decision to make, call Concrete Contractors St. Louis and we'll help you incorporate multiple colors and add decorative effects that will give your house an elegant accent! Every now and then, your preference changes and I tell you, our concrete contractors already anticipated that and they are ready for any challenges there may be. If your slab is large and requires extensive surface preparation, don't hesitate to call Concrete Contractors St. Louis. We take advantage of the latest decorative technology to provide you with the best concrete styling that will surely last for years. Whether it is a solid one color floor or a glossy design you're looking for, we can definitely do it for you! Get in touch with one of our staff today and see how we can help you have a better-looking surface.